Since the movie The Great Gatsby premiered head pieces are becoming all the rage. But they're not just for parties....you can wear them to take any outfit from boring to fab in no time. 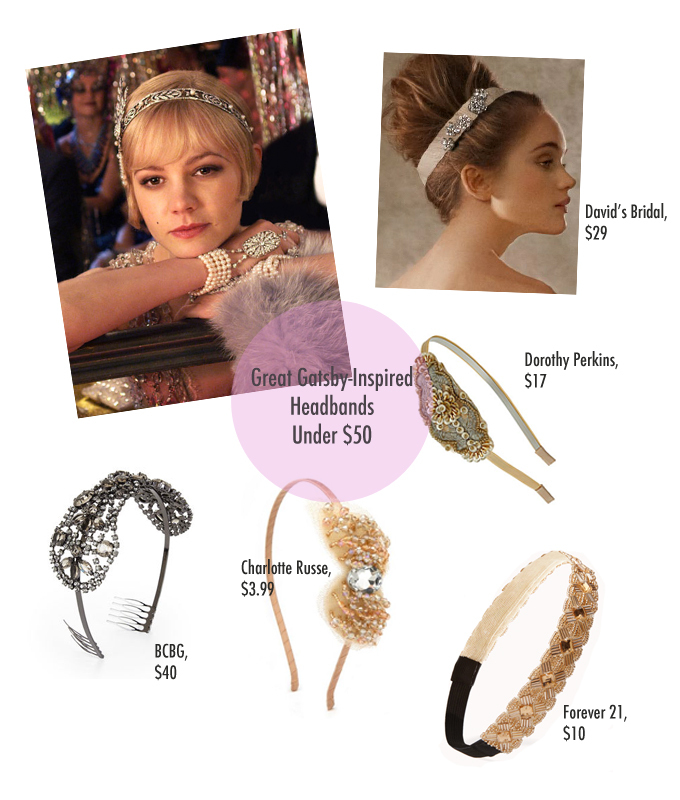 Here are 5 headpieces under $50 inspired by the movie. I love those hair accessories!